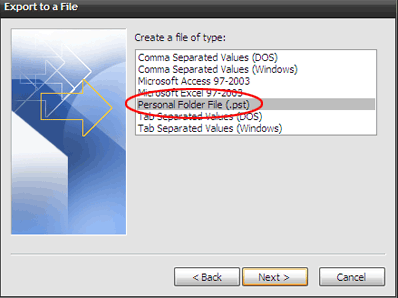 MS Outlook stores all of its information in two file formats i.e., PST and OST. Both these files are different from each other on basis of their functioning and extension. 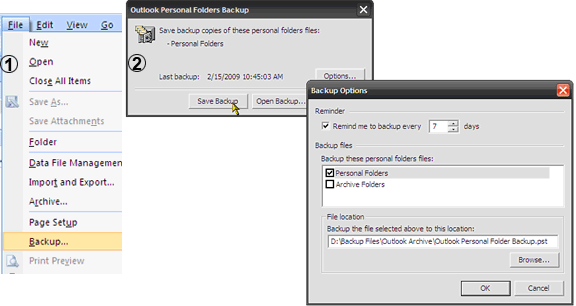 Sometimes, a need occurs in which users need to create backup of their Outlook account. It means that PST files are to be backed up through some means. 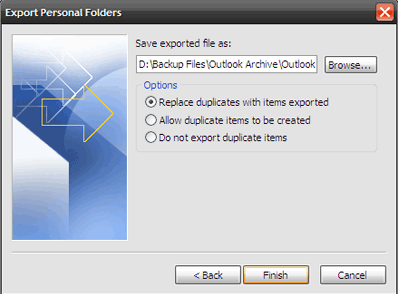 We can take a backup of MS Outlook data either by manual strategies or by automatic means. 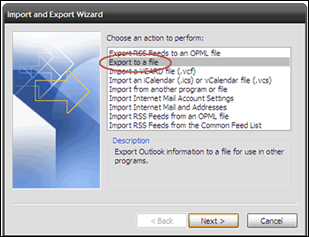 In this blog, we are going to discuss both approaches for Outlook PST backup. To Restore Permanently Deleted Data: If you have deleted your some data permanently then, the relevant approach is to restore emails, contacts, etc., from backup PST files. 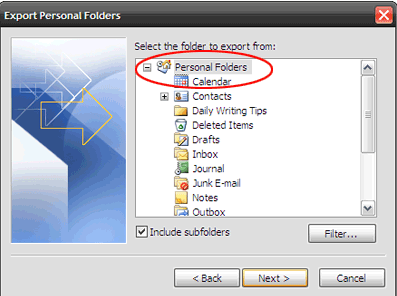 Step 5: After that, Export Personal Folders window appears on your screen. 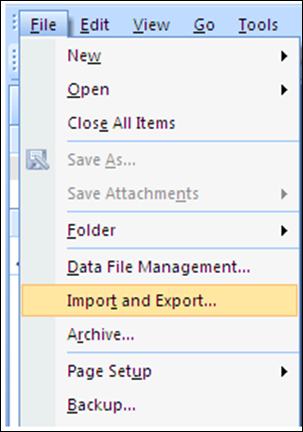 Browse a safe location to store the exported file and then click on Finish button to end the process. Note: This method is supported by Microsoft Outlook 2002, 2003, and 2007 only. There is the PST to PST Converter Tool that makes easy for users to take the backup in PST file format itself. The application is designed in such a way that it does not have any file size or content length limitation. The software takes only few moments to perform the data conversion by converting bulk of data at once. Moreover, the best thing about the utility is that it is compatible with all the Windows OS. The software is programmed in such a manner that it only requires PST files to perform the process, Outlook installation is not required. Security is the main concern of almost all the users for the work continuity. Most of the users utilize Outlook as their email application. Therefore, they need to take Outlook PST Backup manually. After understanding this, we have discussed various ways to take the PST file backup accordingly for the complete security of data.